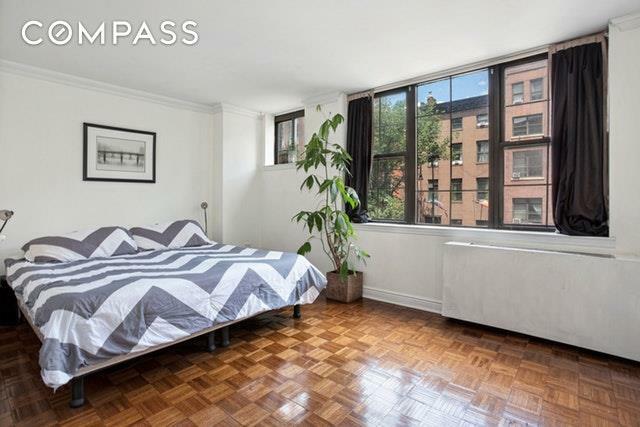 Ideally located at the crossroads of the West Village and Chelsea, this meticulously renovated Junior one bedroom condo offers the best in downtown living. Enjoy northern light and treetop views in this turnkey apartment which makes for an optimal pied-a-terre, investment, or primary home. The entire interior has been thoughtfully designed and offers refinished floors, crown moldings, custom lighting, and elegant French doors. The open, designer kitchen features granite counters, stainless steel appliances, custom cabinetry, glass tile backsplash, recessed lighting, and a large breakfast bar perfect for entertaining guests. 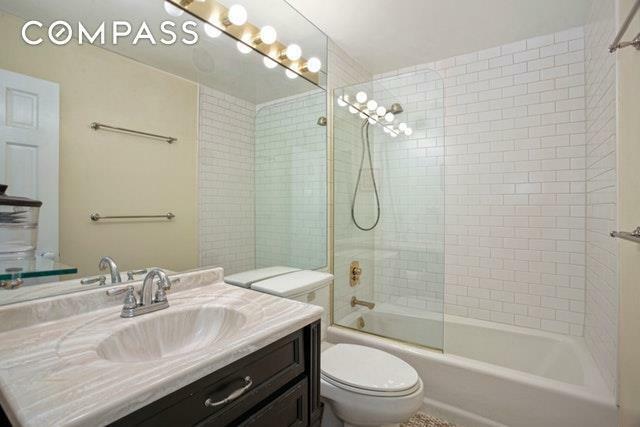 The tastefully renovated bathroom includes subway tiled walls, a marble vanity, and mosaic tiled floor. Storage is abundant due to the massive walk-in closet and additional hallway closet, both outfitted with California Closet shelving. Spectrum high-speed internet and cable with three premium channels is included in the common charges as well. 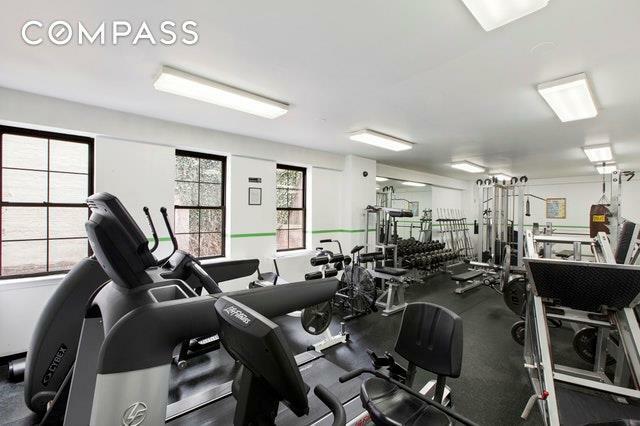 Positioned on the THIRD floor of The Sequoia - a pet-friendly, doorman condominium building with newly updated hallways, new elevators, windowed fitness center, parking garage, laundry room, live-in superintendent, and lobby recently renovated by Michael Rubin Architects. 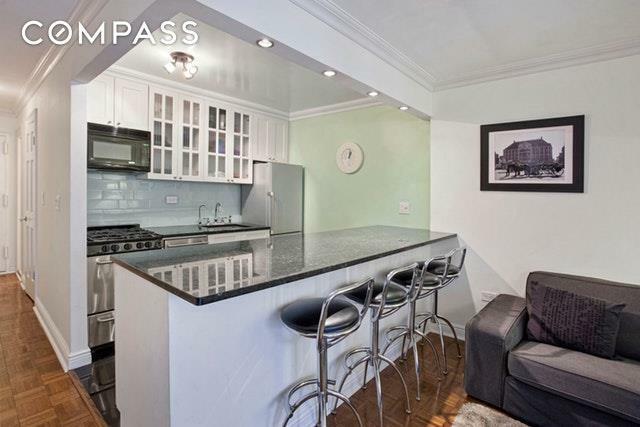 It's perfectly positioned just moments from Greenwich Village, Union Square, and the Meatpacking District and offers fantastic subway access to the 1,2,3,A,C,E,L lines right outside your door. Listing courtesy of Matthew Burrows of Compass.